As the first of three movies based on J.R.R. Tolkien’s “The Hobbit” inches closer, more and more marketing material will make its way to the interwebs. For example, the just discovered image of Radagast the Brown. Set for December 14, only months remain until “The Hobbit: An Unexpected Journey,” (we think that is the title at least) finally comes to long-waiting fans. A calendar featuring the characters from the film has shipped to the public and on it is the previously glimpsed Radagast the Brown (played by Sylvester McCoy) from a fuzzy image taken from Peter Jackson’s December production diary. Read more about Radagast here. 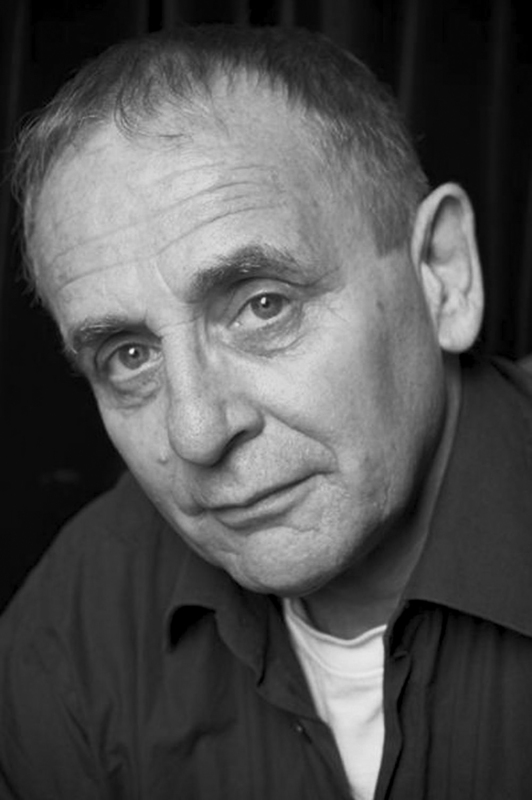 Read more about Sylvester McCoy here. 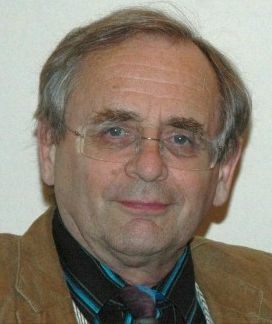 Sylvester McCoy is best-known to science fiction fans as the seventh Doctor in the BBC’s Doctor Who series, taking over the role from Colin Baker from 1987 to the cancellation of the original series in 1989. But there’s a very good chance that the Scottish-born theatre, film and TV actor may gain a whole new surge of popularity in the years ahead as he sets off to New Zealand to join director Peter Jackson and theatrical colleague and friend Ian McKellen to make two movies of Tolkien’s The Hobbit, wherein he’ll play the part of the wizard Radagast, a character from Middle Earth who was omitted from the original trilogy. How long will you be [in New Zealand]? Oh, six to eight weeks, the first time, and then I’ve got to go back another three or four times over the next three years. What was the extent of your near-involvement in the original Lord Of The Rings trilogy? I was up for the part of Bilbo Baggins, and it got down to the last few as these things do, and I was still very much in the picture. Not literally, though [laughs]. Finally it went to Ian Holm, but if he had been busy, I would have done that part. So they knew me from that, and they liked me, obviously. Will you enjoy working with Ian McKellen again after working with him for so long with King Lear? Ian McKellen and Sylvester McCoy, among others, in the RSC’s 2007 production of King LearYeah, it’ll be great. We were working very closely for nearly two years in King Lear. The fool, who I played, and the king, who obviously he played, are two roles that are very entwined. We travelled the world together and he introduced me to Peter Jackson personally – as well as the Prime Minister of New Zealand! [laughs]. It’ll be great. I’m looking forward to seeing him, and we’ve got some lovely scenes together. From what sources is the character of Radagast being drawn for The Hobbit, because he’s not a major presence in the book itself and he was written out of the original trilogy…? There were bits of Radagast in the original books; there were bits of him in The Hobbit and some bits in Lord Of The Rings. They didn’t use him in the film, so they’re taking bits from there. Also there were later writings in the 1960s, I believe, in which Radagast was also mentioned. How do you approach a role like this in terms of preparation? [laughs] I work instinctively really; I’m not ‘method’ that way. Any actor worth his salt uses all sorts of methods and means to get to the character. But really I just try and learn the lines and not bump into the monsters. Do you feel these films can provide something special for Tolkien fans by giving extra background and coverage of characters like Radagast, who we don’t get to see as much of in the book? Will we be able to recognise you in the role? It’s not something that involves motion capture or heavy prosthetic make-up? Yes, I am. Funny enough, I was doing some stuff like that yesterday. Working with a green screen background, I had to recreate the inside of the TARDIS – and it wasn’t there [laughs]. Good fun, and all very silly! The order of Wizards, the Maiar who came to Middle-earth after the first millennium of the Third Age. Of these, five came to the northwestern regions: Saruman, Gandalf, Radagast, Alatar and Pallando. Radagast the Brown is one of the Istari or Wizards who were sent by the angelic Valar to aid the Elves and Men of Middle-earth in their struggle against the Dark Lord Sauron. 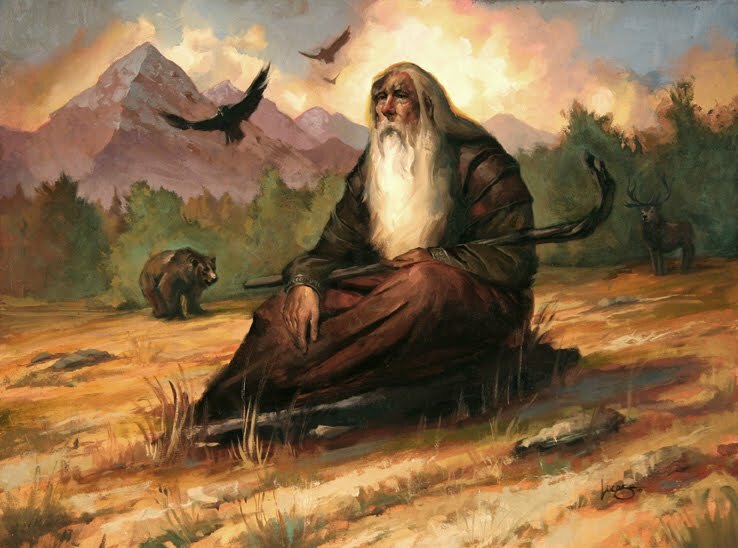 Radagast appears in The Lord of the Rings and Unfinished Tales, and is mentioned in The Hobbit and The Silmarillion. Radagast lived for much of his time in Middle-earth at Rhosgobel in the Vales of Anduin, on the western eaves of Mirkwood, near the Gladden Fields. He had a strong affinity for — and relationship with — wild animals, and it seemed his greatest concern was with the kelvar and olvar (flora and fauna) of Middle-earth. He was wiser than any Man in all things concerning herbs and beasts. It is said he spoke the many tongues of birds, and was a “master of shapes and changes of hue”. Radagast is also described by Gandalf as “never a traveller, unless driven by great need”, “a worthy Wizard”, and “honest”. Radagast appears in The Silmarillion where he played a part in helping Saruman, who was a member of the White Council, which was formed to stand against Sauron (although he was not a member of the Council himself). 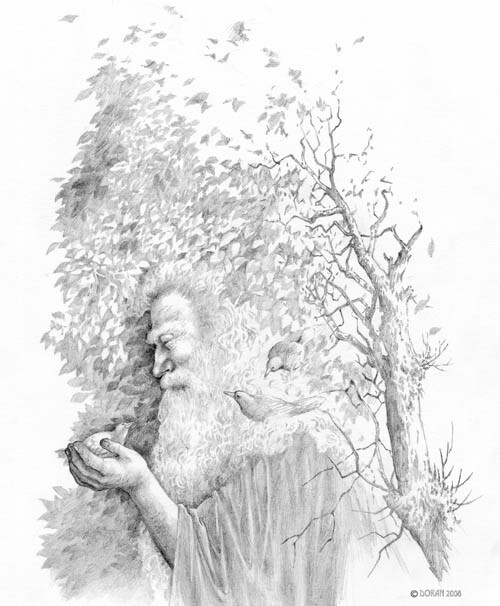 It is mentioned that there were birds among Saruman’s spies, due to Radagast lending to him his aid, though Radagast knew nothing of Saruman’s treachery and believed that Saruman wished to use the birds for watching the Enemy (Sauron). In The Fellowship of the Ring, Radagast was unwittingly used by Saruman to lure Gandalf to his tower of Orthanc, where Gandalf was captured. However, Radagast also unwittingly helped rescue him by sending Gwaihir the Eagle to Orthanc with news of the movements of Sauron’s forces. When Gwaihir saw that Gandalf was imprisoned on the top of the tower he carried him off to safety before Saruman realized he was gone. Tolkien wrote that he gave up his mission as one of the Wizards by becoming too obsessed with animals and plants. Tolkien also wrote that he did not believe that Radagast’s failure was as great as Saruman’s and that he may eventually have been allowed (or chose) to return to the Undying Lands.